The aviation industry is now relatively stable following a sustained period of top-line revenue growth driven by record passenger numbers. Fleet expansion and renewal – particularly in Asia and the Middle East – have driven the order books for new deliveries markedly higher, with Boeing and Airbus reporting notable order backlogs. At a time when airlines and operating lessors alike face significant decisions in funding their respective capital expenditure programs, liquidity levels from traditional financiers have recovered and attractive terms are available for many operators. 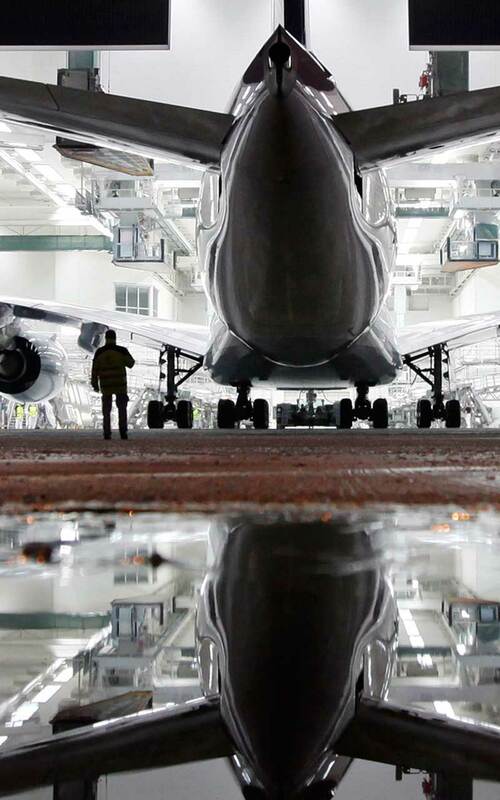 Despite this apparent stability, stakeholders face a variety of uncertainties as the aviation industry continues to evolve. The sheer volume of projected deliveries requires consideration of the benefits of diversifying funding sources. The regulatory environment is changing in various markets, and the risk of disruption with respect to geopolitical events remains. In addressing these challenges at a time when deals and transactions are increasing in size and complexity, our lawyers provide clients with invaluable insight into the international aviation industry. 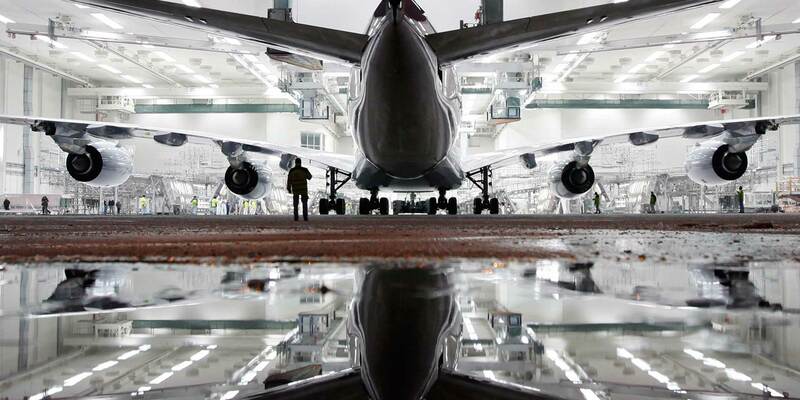 We have substantial experience and knowledge in the commercial aviation sector. The experience we have developed in representing airlines and operating lessors, their debt and equity financiers, manufacturers and multiple export credit agencies ("ECAs") throughout our global network gives us a clear understanding and perspective of the myriad issues that successful financings in this sector must creatively and effectively address. Our lawyers have substantial experience in all products deployed or utilized in complex structured financings in this sector, including aircraft non-payment insurance (ANPI) financings, enhanced equipment trust certificate (EETC) financings, asset-based securitization (ABS) transactions, warehouse loan facilities and pre-delivery payment (PDP) financings. We have experience in all types of Japanese operating lease transactions (JOLs and JOLCOs), have advised and represented clients on equity and debt raises in the US capital markets and have advised and represented numerous clients in connection with high-profile airline bankruptcies and restructurings. We also routinely advise on acquisitions of and/or investments in aircraft leasing companies and aircraft portfolios, secured and unsecured bridge and revolving credit financings, non-US dollar capital raises, all aspects of ECA-supported and manufacturer financings, private jet financings and a wide range of regulatory and asset repossession matters. In addition to our transactional work, White & Case provides its aircraft clients with a broad range of litigation and dispute resolution services. We advise owners, lessors, lenders and guarantors in the planning and exercise of remedies in connection with failed or defaulted financings, including the pursuit of actions for damages or specific performance in appropriate courts and arbitration tribunals. Our litigators have coordinated the arrest and repossession of aircraft in the United States and Europe and have pursued litigation for clients (both lessors and lessees) in several situations arising out of disputes over lease return and maintenance provisions. Our bankruptcy lawyers have significant experience representing aircraft clients in bankruptcy courts and in related federal and state court litigation. We are recognized as one of the few firms with established knowledge and experience in the developing market for the commercial financing of helicopter fleets, an emerging sector. "Offers global reach and considerable expertise in aviation financing transactions, with a strong foothold in the US, Latin American, Asian and European markets. Clients include leasing companies, financial institutions and airlines from across the world. The team deals with the full range of transactions, including EETCs, ABS, PDP and JOLCOs." "A visible player in the market, the firm is praised for its "global perspective, efficiency and accuracy." Representation of ING Capital and Société Générale in connection with a 12-year senior loan facility to finance Ethiopian Airlines Group's first five Boeing 737-800 aircraft. The senior loan facility is structured with Aircraft Non-Payment Insurance (ANPI) cover under the Aircraft Finance Insurance Consortium (AFIC) programme, and represented the carrier’s first AFIC deal. Representation of Avianca in connection with a US$100 million loan guaranteed by UK Export Finance (UKEF) to finance one B-787-8 aircraft. The UKEF loan was structured as a JOLCO that was arranged by Burnham Sterling & Co, with Sumitomo Mitsui Finance and Leasing Co providing the equity. Representation of Vermillion, the leading Ireland-based aircraft leasing company and a joint venture between Cheung Kong Holdings and MC Aviation Partners. Our Japan-based banking & finance team advised Vermillion in connection with a large-scale, US$950 million secured financing for the refinancing of a portfolio of 40 aircraft. The US$950 million facility was provided by a group of 10 banks. Representation of ING Capital LLC, as lender and loan agent, in connection with the first ever aircraft finance non-payment insurance (ANPI) financing, which involved the financing of a new 747-8i aircraft on financial lease to Korean Air Lines. The transaction is the first time commercial insurance was used as an alternative to a guarantee from The Export-Import Bank of the United States. Representation of Kenya Airways Limited, the Kenyan flag-carrier and one of Africa's leading airlines, on its US$2 billion financial restructuring. Key features of the restructuring include a reprofiling of payments owed to operating and finance lessors, a conversion of debts into newly issued equity in the company and the provision of a new multi-purpose facility from Kenyan banks. Following the transaction, Kenya Airways has been repositioned for long term growth and is around 90 percent owned by the Government of the Republic of Kenya and a group of 11 local banks. Representation of Aeroméxico in connection with their first JOLCO financing of three 787-9 aircraft with three different debt and equity syndicates. The world’s first-ever Coface-guaranteed bond transaction financing ATR aircraft. 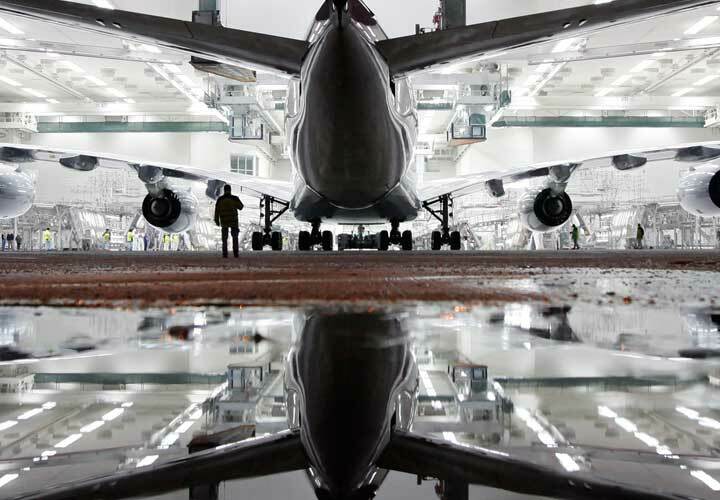 Coface, as guarantor, in the US$143.7 million guaranteed floating rate notes privately placed and due 2025 by Aeronautic Investments 18 Limited, a financing structure vehicle for Transportation Partners. Morgan Stanley, as lead underwriter, in Alitalia’s €375 million senior unsecured bond private placement on the Irish Stock Exchange. The largest private placement transaction to have taken place in Italy to date. Representation of Copa Airlines in a series of financings for new Boeing 737-800 aircraft structured as Japanese Operating Leases with Call Options (JOLCO). This transaction represented the first Latin American airline in many years to have access to the JOLCO market. This was a landmark deal for COPA Airlines, and White & Case played an instrumental role throughout this complex financing which involved structured leasing through Japan, Panama and Ireland. Representation of Morgan Stanley, as lead underwriter, in connection with Alitalia's €375 million (US$413 million) senior unsecured bond private placement on the Irish Stock Exchange. The bond was issued with notes denomination of €100,000, a term of five years and a fixed annual coupon of 5.25%. This transaction was awarded "Capital Markets Unsecured Debt Deal of the Year" by Airfinance Journal 2016. Representation of COFACE, as guarantor, in the US$143.7 million guaranteed floating rate notes privately placed and due 2025 by Aeronautic Investments 18 Limited, a financing structure vehicle for Transportation Partners. The bond is reinsured by SACE, and was awarded "Export Credit Deal of the Year" by Airfinance Journal 2016. Representation of Société Générale on the financing of five A330s for Turkish Airlines. This transaction is the first time that an Italian tax lease structure has been combined with ECA support from Euler Hermes, and was awarded "Trade & Export Finance Deal of the Year" by Bonds & Loans Turkey Awards 2015. Representation of Atlas Air, Inc., in connection with its partial refinancing of all three of its EETC transactions (1998, 1999 and 2000) that were previously restructured in its bankruptcy case in 2004, involving a redemption of all of the equipment notes related to five aircraft out of 12 aircraft originally financed by such EETC transactions. A partial refinancing of such EETCs is expected to have a significant impact on the overall capital structure and results of the operation of Atlas Air, Inc., not merely an asset financing transaction. This refinancing transaction, as far as White & Case is aware, has no precedent. Storm clouds or clearer skies for African airlines?